Jen’s Diary: Top 5 free online tools for organising yourself at PASS Summit, Live! 360 or any other conference! As always, I don’t speak officially for PASS. This is a personal braindump. I’m presenting at PASS Summit and Live! 360 in Orlando, so self-organising is a hot topic for me! For diary purposes, I have been doing lots of work on PASS BAC with the team, as you can imagine. I’d like to thank the PASS team here: Vicki, Angie, Anika, Teresa, Georgia and Judy to name a few. If you want ‘behind the scenes’ tweets, please follow Anika on Twitter to know more about the running of PASS. It’s no mean feat – 6 thousand or so SQL Server fans in one place! – and the team keep everyone happy. As you know, the PASS BAC first wave of speakers has gone out. If you have any questions, please fire them at me: jen.stirrup@sqlpass.org. More on this later! I’m humbled by the amount of industry expertise that we have in our community, and everyone who submitted is simply amazing. Thank you to everyone for their faith and belief in what we are trying to achieve, and thank you to the people who have had faith in us and have bought their tickets so far without even seeing the full agenda! PASS BAC is going to be a blast again, and I hope you’ll join us. You can register here. Ok, now onto the clickbait that you really wanted to see. Here are some handy tools which I’m using to organize my time at PASS Summit. Evernote – I prefer it to OneNote because, when I search my browser for items, it also brings up my Evernote notes about the same topic. Neat, huh? I use it for taking notes and I ‘snip’ everything. I use the local version which syncs to my online version, and I can read the offline local version whilst I’m on the plane. How good is that? Think of it as an offline Google or Bing repository to help you to actually read the things you marked as ‘to read later’. Sunrise Calendar I have tried using online tools for YEARS but this is the only one that works for me. It takes my nine calendars (yes, I am that busy!) and synchronises them in one place. I can see things in different timezones (I work BST/GMT, and then onto PST). I cannot do without this calendar now. Go and take a look, and you’ll find yourself organized in no time. You’ll need this for preventing yourself from becoming quadruple booked, as I do. These guys deserve a freakin’ award. Seriously. It is owned by Microsoft but why the hell they don’t advertise this, I have no idea. It’s so simple and it does what I need it to do. Guys – deep thanks from me. Watch this video on Productivity and take the bits from it that are useful for you. This 20 minute video has helped me so much, and it’s left its mark on me. I hope it will help you to see how you can be more productive. It has helped me, and in some ways helped to heal me of things that were hard to let go. It’s been a hard lesson and I am humble enough to admit I’m still learning it. Good luck with it. 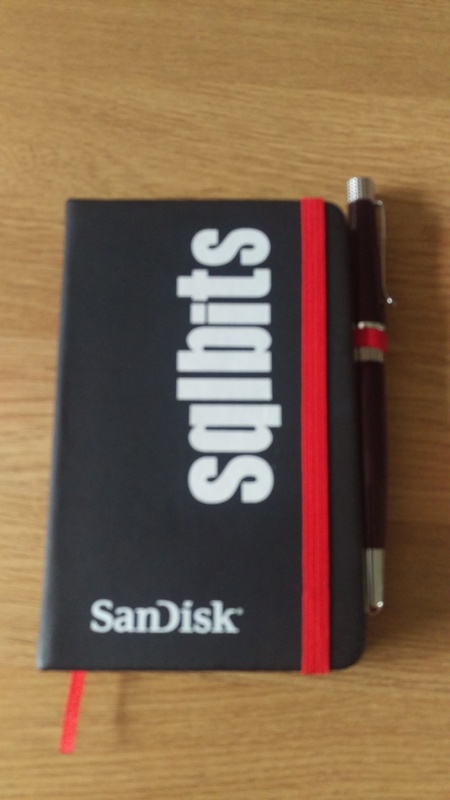 All I do, is carry around a little SQLBits notebook that I’ve had, and I brain dump into it by writing everything down. It works. Trust me. How is this free? Well, make sure you visit the sponsor gallery at PASS Summit, and see if you can score a little notebook from one of the sponsors. It may help you more than you think! Packpoint save me from forgetting things. This is for Android, but I’m sure you can find something else for your favourite mobile OS. Basically, you tell PackPoint where you are going, and for how long. If you are TripIt customer (see above) it syncs everything for you so can pick your trip. If you are one of these people who forgets business cards and little things like that, give it a try. You can find your packing list online as well as on your phone, and tick things off as you go. Jen’s PASS Diary: I need input from you! As always, I don’t speak officially for PASS. Here are a few notes about what I’ve been doing. However, this is an effort to be more transparent, and open about what I am actually doing. I’d also like to re-iterate how people can get in touch, and I recommend that you do get in touch! 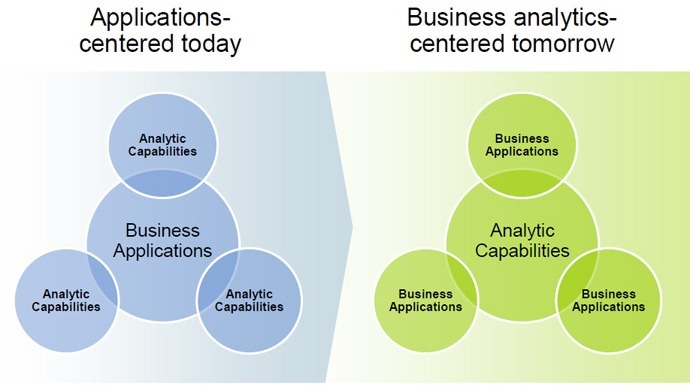 I’m getting things ready for PASS Business Analytics Conference. I realise it must feel like a long time since we released any news about that! We are hoping to get speaker confirmations, and the regrettable rejections, out shortly. I know it sounds like a cliché, but we had a huge number of submissions for the event from all over the world. I have loved watching the event take a life of its own, as a little sister underneath the wing of its much bigger brother, PASS Summit. We have taken volunteers for the community to help us to choose sessions, and we released guidelines before the speaker call in order to help people target their abstracts better. More on this later. So, I have a PASS Board meeting just before PASS Summit, and I need your input. Let me know your feedback, questions, and comments. I hold the EMEA seat but I am willing to take feedback about anything PASS related. To do this, please email me at Jen.Stirrup@sqlpass.org and I will take your feedback along with me. Also, if you want me to keep the commentary confidential, I am happy to respect your wish.